Forget about Pokemon Go and Nintendo. It looks like other video game stocks are the ones that investors want to catch these days. Sure, Nintendo (NTDOY)'s stock is surging. But it's still well below the peak levels it hit when its Wii console was a huge hit. Meanwhile, video game publishers Electronic Arts (EA), Activision Blizzard (ATVI) and Take-Two Interactive (TTWO) have all hit new record highs this week. Nvidia (NVDA), which makes graphics processors used for games in PCs as well as its own console called the Nvidia Shield, is also trading at an all-time high. Heck, even shares of struggling action camera company GoPro (GPRO) have gotten a lift in the past few days. Some traders are attributing excitement about the augmented reality technology used in Pokemon Go as a reason since GoPro has an AR camera of its own. Yes, mobile gaming is all the rage these days. It's why Nintendo finally decided to put its games on smartphones after years of holding out. It's also the reason that Activision bought Candy Crush Saga maker King Digital and one of the reasons Microsoft (MSFT) scooped up Minecraft maker Mojang. Microsoft also has skin in the AR/VR game through its HoloLens technology. Facebook (FB) is expected to be a big augmented and virtual reality player as well thanks to its acquisition of Oculus two years ago. And even companies outside of gaming are embracing augmented reality. 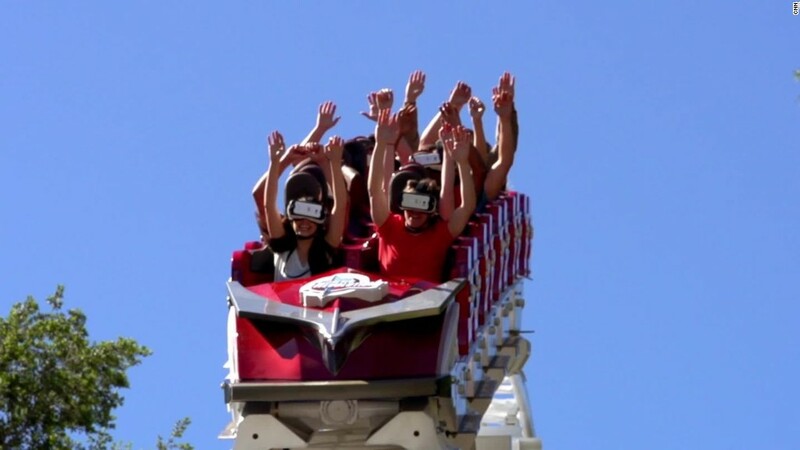 Matt Ouimet, CEO of theme park owner Cedar Fair (FUN), said the company debuted its AR game -- The Battle of Cedar Point -- at its flagship park in Ohio last month. Players collect "characters" -- represented in this case by some of the park's rides. Ouimet said he's happy to see Pokemon Go's success helping to take the technology mainstream. 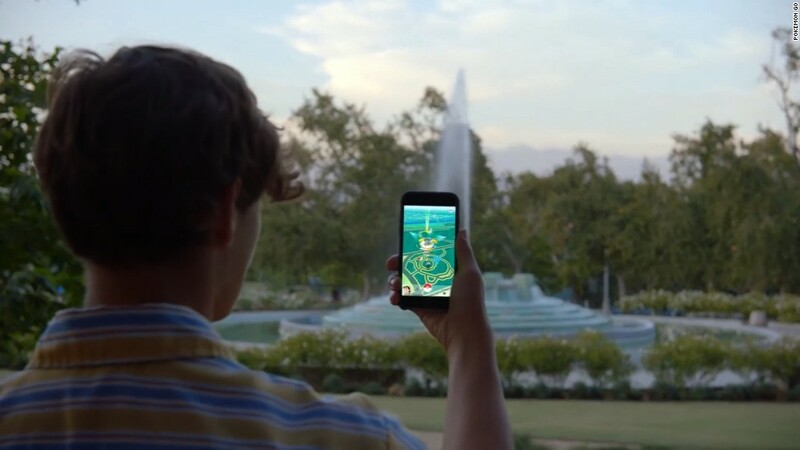 "We don't have to train people about augmented reality thanks to Pokemon Go," he said, adding that "techtainment" could be the next big trend at more of his company's theme parks as well as rivals like Disney (DIS) and Six Flags (SIX). But the huge moves in EA, Activision and Take-Two show there is still big money to be made in good, old-fashioned consoles and PC games. EA and Activision are working on VR and AR games too, but Take-Two seems more skeptical about the technology. Still, any AR/VR bump would just be icing on the proverbial cake. All three already have huge franchises with many loyal customers. In many respects, the games are like annuities, with people eagerly scooping up new releases in EA's FIFA and Madden NFL sports franchises, Activision's World of Warcraft and Call of Duty and Take-Two's Grand Theft Auto. Investors are predicting that sales and earnings for all three companies will grow next year too -- thanks to rumors that Microsoft, Sony and Nintendo may all have new consoles hitting the market -- the Xbox Scorpio, PlayStation NEO and Nintendo NX. So even though it may seem like everyone around you is walking into walls because they have their face glued to their phone as they try and catch Bulbasaur and Charmander, keep in mind that other gaming stocks may be better bets than Nintendo.